With a stay at Boat and Bed Ocean View in Cancun (Puerto Juarez), you'll be convenient to El Meco Archaeological Site and Gran Puerto Pier. This houseboat is within close proximity of Punta Sam Ferry Terminal and Séptimo Día Adventist Church. Make yourself at home in one of the 2 air-conditioned rooms featuring kitchens with refrigerators and microwaves. Rooms have private balconies or patios. Flat-screen televisions are provided for your entertainment. Conveniences include separate sitting areas and coffee/tea makers, and housekeeping is provided on a limited basis. Take advantage of recreation opportunities such as an outdoor pool or take in the view from a terrace and a garden. 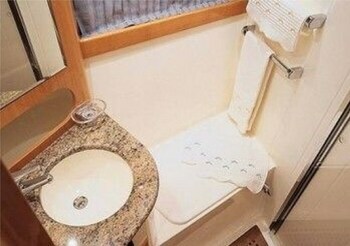 This houseboat also features complimentary wireless Internet access, wedding services, and tour/ticket assistance. Enjoy a meal at a restaurant, or stay in and take advantage of the houseboat's room service (during limited hours). While enjoying a refreshing dip in the houseboat pool, you can order your favorite drink at the poolside bar. 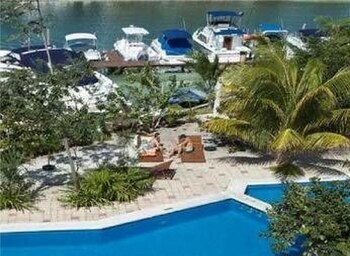 Boat And Bed Ocean View Cancun is an ideal Cancun lodging choice for your trip to Mexico. With numerous amenities for guests such as airport transportation, bbq grills, you will wake up at Boat And Bed Ocean View Cancun feeling ready to go every day for your time in Cancun. Don’t let this amazing reservation opportunity pass you by, book your stay at Boat And Bed Ocean View Cancun today to make the most of your time in Cancun, Mexico.